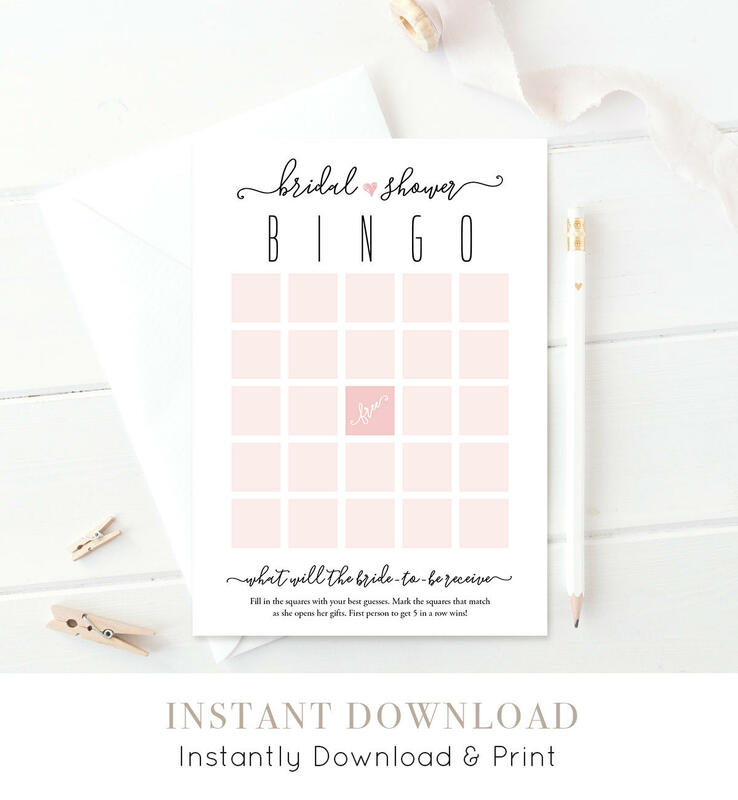 This listing is an "INSTANT DOWNLOAD" that includes a high resolution, printable "Bridal Shower Bingo Game Card" in a PDF format. 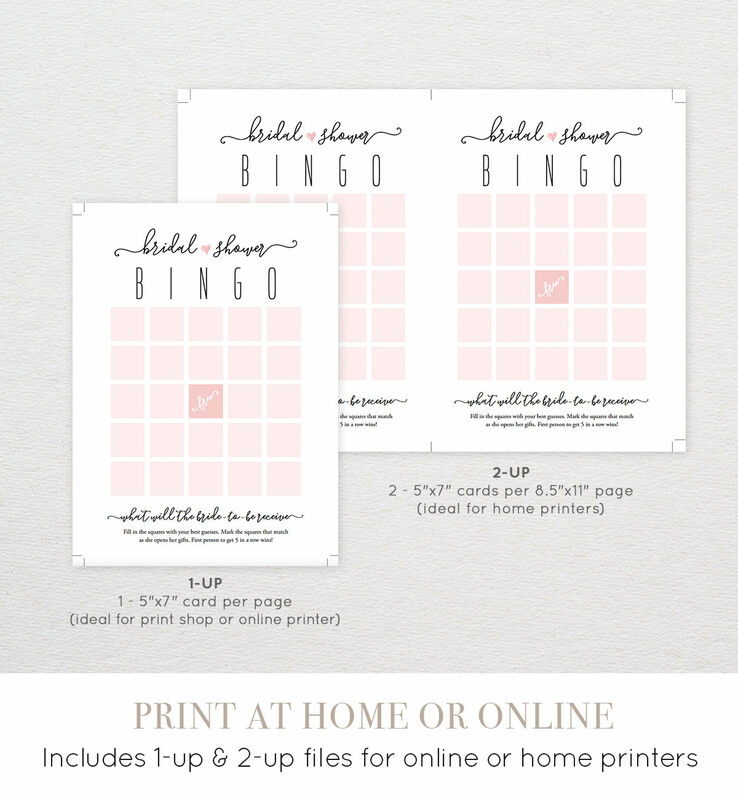 BINGO CARD PRINTABLE - Finished Size 5"x7"
Note: 1-Up files are formatted with a single card on a page - this is best suited for print shops or online printers. 2-Up files are formatted 2 cards on a 8.5" x 11" page - this is best suited for home printers. • This is NOT and editable file. • For best results, use thick card stock.